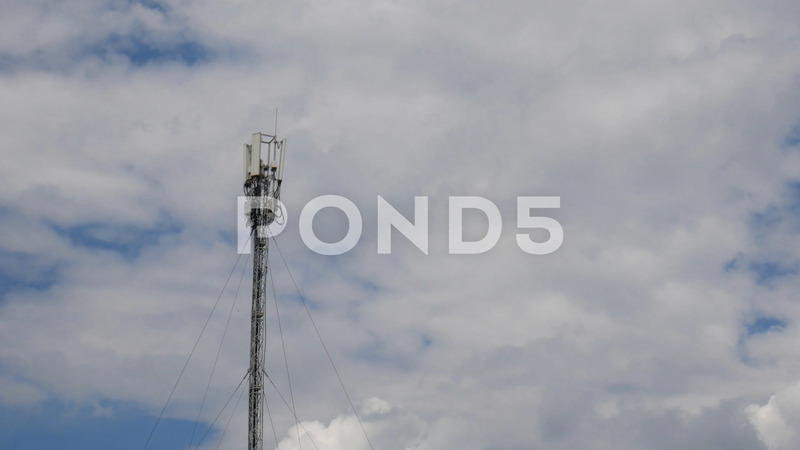 Mobile Communications Tower On White Clouds Background. Timelapse. Description: Mobile communications tower on white clouds background. TimeLapse.